The 2019 ISGA Convention was held in beautiful and exciting Sydney, Australia from April 8 – 12, 2019. The theme for ISGA’s 2019 convention was “Quality Seed, Quality Product, Quality of Life”. Sydney was the place for members of the commercial sprout industry from around the world to collaborate on achieving quality seed and quality product which will enhance quality of life for those who consume our products. Members of the sprout industry came together in Sydney where they learned of the latest information about techniques for ensuring sprout safety, were introduced to products that can help get sprouts to market more quickly and efficiently, learned why some government policies relating to sprout safety are not applicable to sprouts, and were introduced to the advantages of “green” packaging. Future endeavors in relation to sprouts were articulated by Carmen Wakeland, President of the International Sprout Growers Association (ISGA). 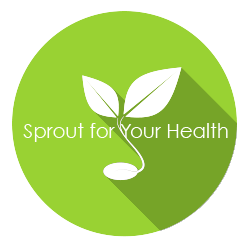 These include exploring more deeply how sprouts are a key component in human health, exploration of competitive exclusion of pathogens in sprouted products, and the possibility of growing sprouts in new ways to increase food safety and nutritional benefits. ISGA’s 2020 Convention will be held in Miami, Florida USA. Stay tuned for details.